While many surfers consider the option of raising a grom, until you are immersed in this lifelong activity, you might not realize the responsibilities and challenges that await you. As the father of two groms, 15 and 17, I have provided some tips to help you manage this laborious, costly and time-intensive process. The first issue with groms is that they are expensive. That is because after you feed them (more on this later) they grow. Groms grow quickly out of wetsuits, surfboards, board shorts, and shoes. Due to the high cost of boards and wetsuits, you must train your groms to raise funds to pay for their own surfing expenses. As soon as your groms can walk, take them to the beach and teach them to search garbage cans for leftover redemption bottles and cans. You can train them to do this while they are still in their crib. You can also make the rounds of your neighborhood and or city on garbage collection day to search for discarded boards and wetsuits. When your groms are young there is no need to purchase new gear when you can scrounge from the street. Parents should become as proficient in ding repair as possible. That is because as soon your groms learn to surf, they will return home on almost a daily basis with a dinged or broken board. If you lack a garage or workshop, feel free to turn your grom’s bedroom into a combo ding repair workshop/bedroom. Just make sure there is plenty of ventilation. Of course, groms must also learn the art of ding repair. Just remove all carpeting from your home. You can be assured that the groms will track resin and fiberglass (in addition to sand and surf wax) in every nook and cranny of your house. Don’t worry: The sand is organic and provides extra nutrients and sodium when mixed with your food. After your youngsters begin to surf, consider giving up any other formal hobbies or activities or even a social life that doesn’t revolve around the beach or surfing. That is because you will be required to drive them to the beach and dawn patrol on the weekends or even before school. Consider obtaining your chauffeurs license as well, since most likely you will be transporting a pack of groms on most of your surf trips. Greg Long and groms at the Del Mar Feb. 6, 2008, Coastal Commission on the fate of Trestles. Groms must be trained to pack surf gear in the car for their entire family. Just don’t be surprised to open the car to find the groms waiting inside without having packed anything, or arriving at the beach and having them be surprised that they were expected to pack mom or dad’s gear too. Also always check to make sure boards have been strapped to the car properly. When they are young, don’t expect your groms to get dressed and ready to depart the beach when you are ready to leave. Invariably, they will disappear only to be found back on the beach eating kelp, rolling around on a dead sea lion or playing with bird or dog poop. 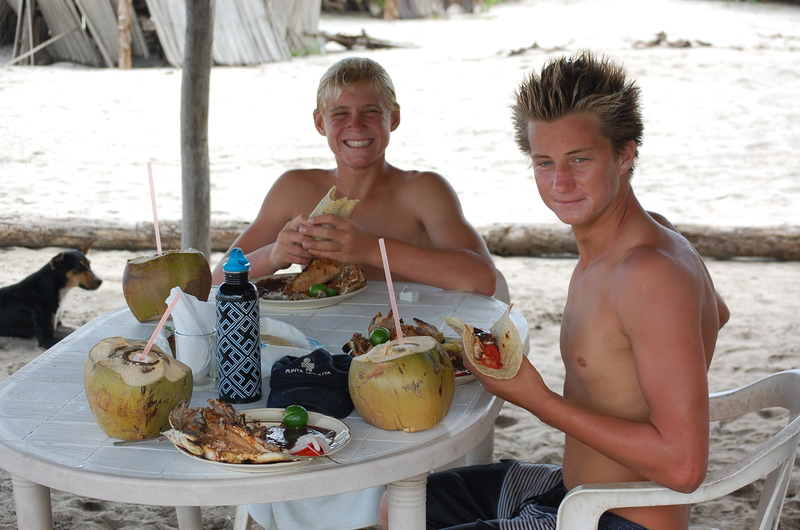 Feeding groms is the greatest challenge you will face as a surf parent. 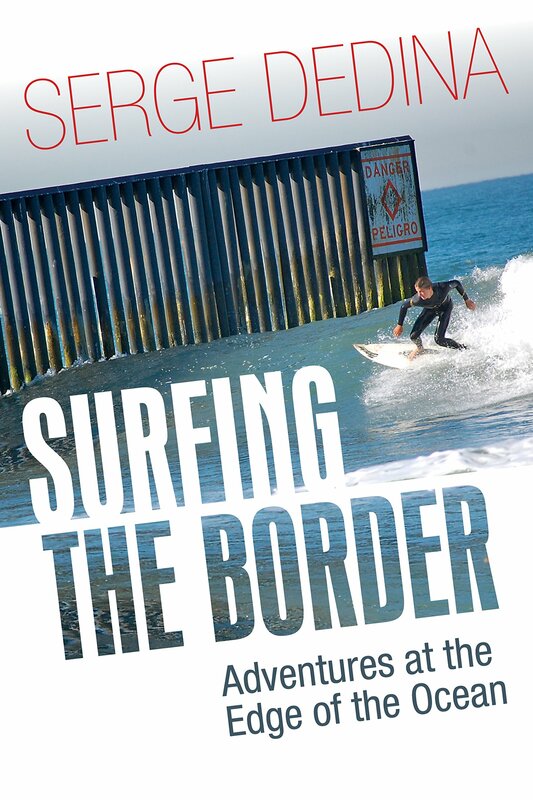 Many groms surf for extended periods of time and forget their feeding times. They will then invariably complain to their mothers that, “dad starved me” in order to secure a breakfast of homemade pancakes and waffles. As mom is ready to serve her own groms their food, she will be surprised by the plethora of extra hands reaching out to grab whatever she is serving. The extra hands belong to neighborhood groms who were invited over to eat without informing mom. Beware that during their teen years, groms move in large packs from house to house on a daily basis devouring all available food in fridges and cupboards. This will require you to make several grocery store trips each week. Don’t worry; this will only last until they move out of the house. Consider obtaining a second job to pay for your grocery bill. A post surf session pit stop at Los Traileros is required for northern Baja surf trips. Groms need to swim well. Very well. The ocean if a powerful force and it can swallow your groms. If your groms want to surf with you in critical conditions they have to be physically prepared. Swim team, water polo and/or junior lifeguard programs should follow extensive swim lessons. Ocean safe groms make for happy parents and ocean lifeguards. 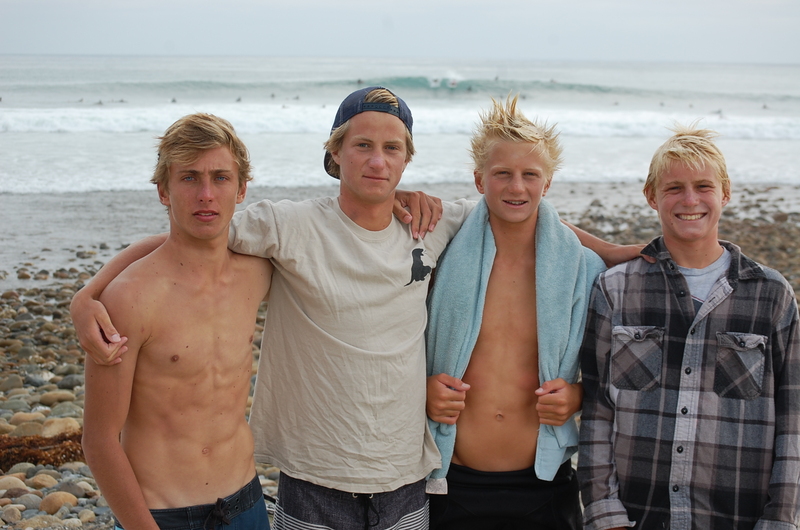 Your groms will eventually surf way better than you do and go off to college and move away from home. Don’t worry. At some point they will get a job (hopefully), marry and have their own groms. Then you will get to relive the best days of your life by teaching a new generation to love the ocean and surfing as much as you do. You don’t read that much about what is going on Mexico that is good. But I am lucky to have an incredible WiLDCOAST team in southern Mexico, Sergio and Natalia Flores, who are working to conserve sea turtle nesting beaches from the predations of poachers. The poachers steal the sea turtle eggs and sell them as a form of organic viagra. Most of the nesting beaches are in the most conflict-ridden states of Mexico, Guerrero and Michoacan, so that doesn’t make stopping poaching easy.Oaxaca where a lot of nesting happens is not as prone to narco-violence. 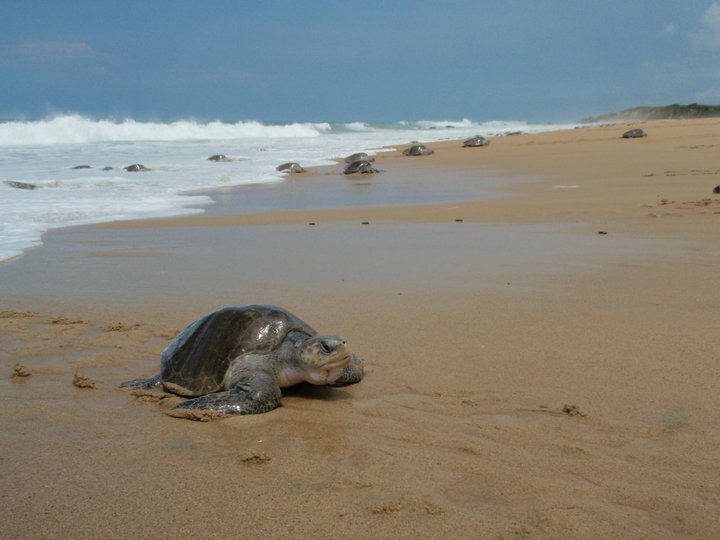 These images are of the Guerrero State Eco-Police and olive ridley nesting in Ixtapilla, one of the more famous nesting beaches in Mexico. 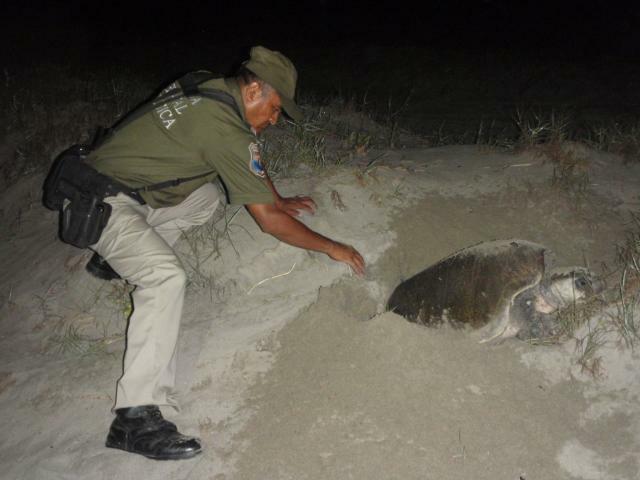 Guerrero Eco-Cop protecting nesting sea turtle. 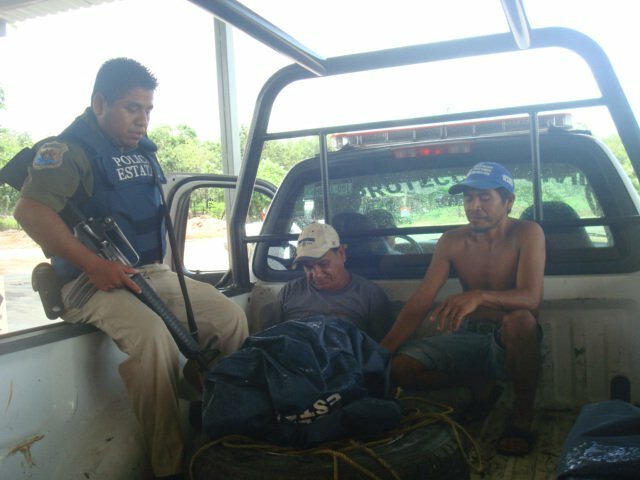 Eco-cops with poachers in Guerrero. Olive ridley sea turtle in Ixtapilla, Mexico. 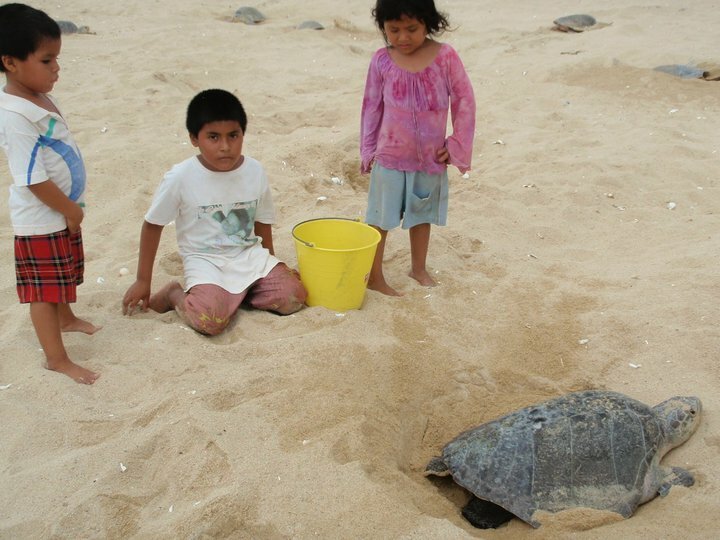 Kids helping to save sea turtle eggs in Ixtapilla.